Most Valley-ites and at least a healthy chunk of New Yorkers probably remember Peyton Pinkerton as one of the principal members of the Hampshire College-spawned New Radiant Storm King, and much of that band’s 1990s indie rock feel is carried over onto the songwriter’s self-titled solo debut. Most of what’s made the trip, however, seems to be the attention to production and arrangement rather than songwriting style, as the album precisely nails every guitar arpeggio, synth pad and hi-hat click, and captures delicious guitar and bass tones both clean and dirty. 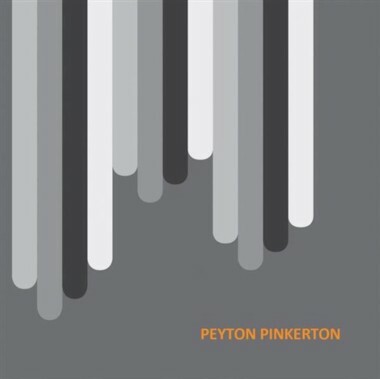 Pinkerton’s oeuvre consists of an odd amalgamation of British Invasion-era psychedelic pop and something more modern or avant-garde. On half the songs, synthesizers replace Farfisa organs, and guitar tones flip back and forth from jangly Rickenbacher 12-string sounds to razor-sharp Telecasters combined with shimmery Vox AC-30 amplifier tones. While there’s something of an indie rock heart to this record that fervently beats “New York City,” it’s also arty enough to have a Berlin feel; stylistically, the bulk of the material here could almost fit right in on one of the 1976-77 Bowie/Eno efforts like “Heroes” or Low. All the instruments on the album are exceedingly tightly arranged, with Pinkerton playing most of them, and with few exceptions confining each to its own often minimal or even purely rhythmically or texturally defined part. Drums are provided by the almost inhumanly metronomic J.J. O’Connell (Spouse, New Radiant Storm King, Heather Maloney), and many of the tracks on the record—despite sometimes dense layers of watery guitars and/or synthesizers—are really quite upbeat, recalling the energetic time-keeping of late ’70s/early ’80s icons. The beats are always straight—the only thing vaguely “funky” or offbeat about the songs happens on guitars—but whatever the beats land on, the mood of the whole effort is more propulsive than anything else, despite the many melodic wanderings that paint themselves over the driving, incessant base. Mark Mulcahy makes a subtle guest appearance on one track (“Blackout ’77”), providing background vocals, and the CD was recorded with the aid of Jose Ayerve (Spouse, Nuclear Waste Management Club). However, whereas Zappa’s character typically only speaks jibba-jabba through the oft-gravelly, out-of-phase filters or super-compressed EQ frequencies, Pinkerton often sings full melodies through them, giving the listener a feeling of being in immediate proximity to the singer—as if you were hearing him sing out in your ear through your car stereo.